'M*A*S*H' Actor William Christopher Dies At 84 : The Two-Way The actor, who was best known for his role as Father Mulcahy on the television sitcom M*A*S*H, died after a battle with lung cancer. 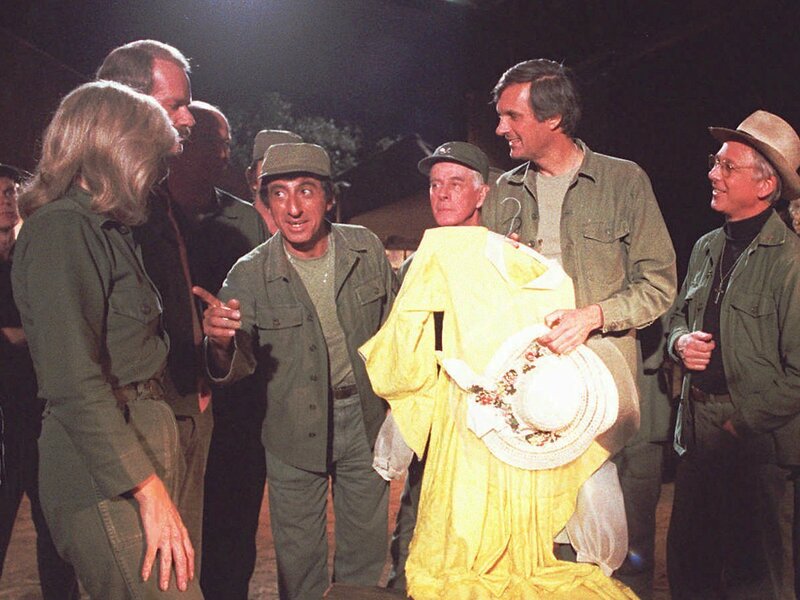 William Christopher (far right) was best known for his role as Father Mulcahy on the 1970s TV show M*A*S*H. He died Saturday in California at the age of 84. William Christopher, an actor best known for his role as Father Mulcahy on the sitcom M*A*S*H, has died at the age of 84. Christopher's agent, Robert Malcolm, told The Associated Press he died early Saturday morning at home in Pasadena, Calif., after a battle with lung cancer. Christopher also had recurring roles on shows like Gomer Pyle: USMC and Hogan's Heroes. But it was his performance as Mulcahy that would come to be his signature role. M*A*S*H, which was based on a hit 1970 movie of the same name, debuted in 1972 and ran for 11 seasons — all of which featured Christopher. As the U.S. Army chaplain at a mobile surgical hospital, Christopher's Father Mulcahy was the moral compass of the show. After M*A*S*H, Christopher had a number of cameos on popular shows, like The Love Boat and Good Times. Christopher and his wife, Barbara, adopted two sons, one of whom had autism. They co-authored a book called Mixed Blessings about the joys and struggles of parenting an autistic child.